Studio Tate was engaged by Our Community Group – a company offering information technology support, training, and tools to not for profit, social enterprise and government organisations – to reimagine and transform an existing space into what would become the company’s colourful new co-working office to be shared with likeminded organisations. The new co-work space comprises of two buildings, a concrete structure at the front with a pitched tin roof towards the rear. The design connected strongly to the base built form of the two buildings, influencing the need to work hard to incorporate the surprise elements that arose during demolition. 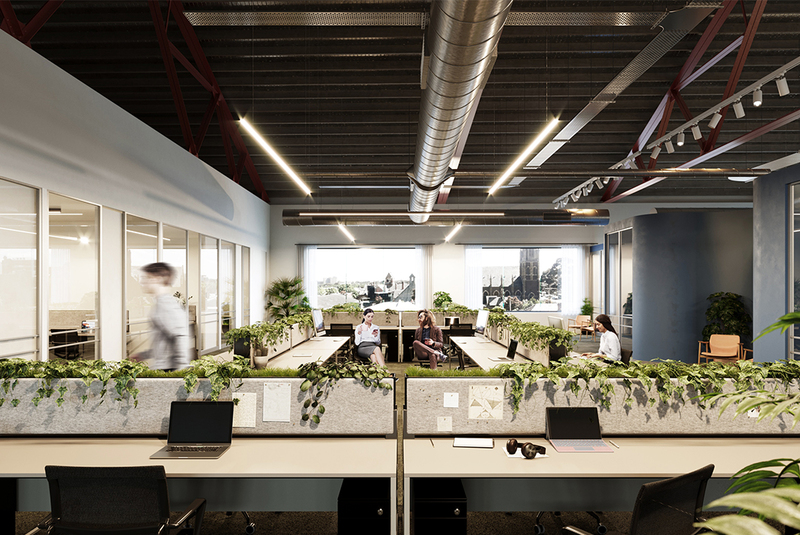 Committed to creating a series of spaces that translated the vibrancy and character of the company and its employees, Studio Tate drew from the palpable energy of the team and their current office space – filled with quirky moments, eye-catching artwork and bright colours, resulting in a striking design all delivered within an extremely tight budget. A contrast to the fun and frivolity of the aesthetic brief, the floor plan required careful and strategic planning; finding balance in amenity, co-working spaces, private spaces for the team, and the front of house café and reception. By exposing the raw materials and simple forms of the existing building, the design celebrates the brutalist concrete structure of the front building and the steel trusses and high-pitched ceiling of the rear building. 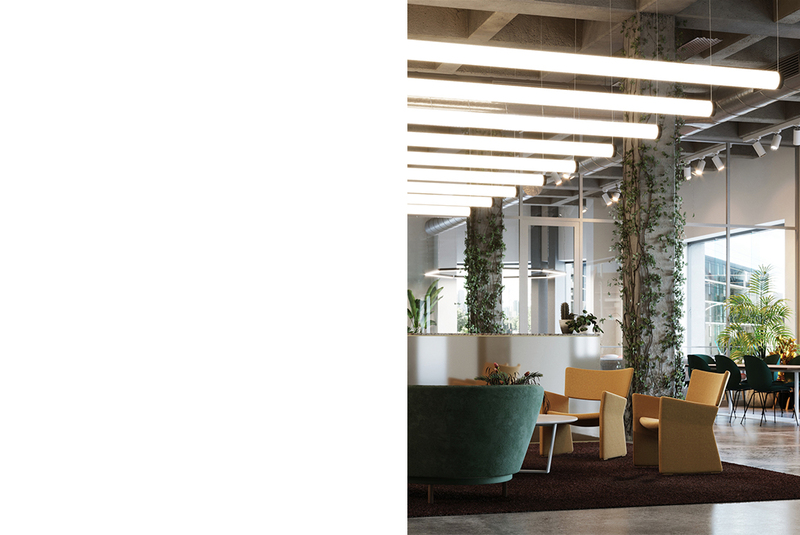 These harsh elements were softened through the injection of colour, soft finishes and furniture, ensuring the vibrant pulse of the Our Community team was felt throughout.